McNally Asphalt the #1 Colorado Paving Contractor. 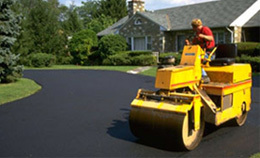 Our asphalt paving services are of the highest quality, while also being affordable. No project is too large for McNally Colorado Asphalt. We can handle both residential and commercial Colorado Paving projects while still remaining on schedule AND on budget. With three generations of paving expertise under our work-belts it is easy to see why our customers continue to be satisfied with our Colorado asphalt paving and chip seal services. The McNally way is the right way to pave – We get the job done right the first time! McNally Asphalt is a reputable and affordable Colorado paving contractor that has been supplying all of Colorado with professional asphalt paving for over 30 years. Throughout the years, we have become experts at providing the most affordable asphalt Colorado. We are the #1 paving contractor Colorado. We offer all types of Quality Asphalt Paving. It is a wise investment to any business or homeowner to have fresh paving or asphalt applied and maintain it with our superior Colorado sealcoating services. By beautifying the outside of your building it works to enhance the overall value of your property. McNally’s paving is sure to add curb appeal and add value you to your residential or commercial property. The the value of your property is greatly impacted by the exterior. Unsightly and worn pavement is an eyesore to any home or business. It is no mystery that the outside aesthetic of your home or business directly reflects the quality of the interior. From the roof to the siding, all the way down to the driveway or parking lot, the exterior of your property is just as important, if not more, than how it is decorated on the inside. Paying attention to the exterior of your home or business is important. Maintaining the aesthetic adds value to your property. McNally Asphalt Colorado has experienced contractors that come to assess your needs and immediately get to work providing you the very best in Colorado paving services. Through the years, we have become experts at blacktop paving and related asphalt contracting services. We are #1 throughout Colorado for Asphalt Paving. We offer all types of Affordable Colorado Paving, Asphalt, Seal Coating, Road Construction, Driveway Repair and Blacktop Services. Are you still wondering if you qualify for our Colorado Paving services? Here are a few things to consider before contacting us to get a free quote and pavement assessment. 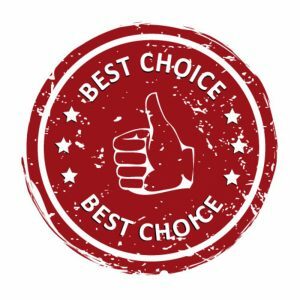 Affordable Quality – Our reputation has provided us the luxury of taking out flourishing business and turning that profit into savings for our coveted paving clients. This is one of the major benefits when choosing McNally as your Paving Contractor Colorado. Reliability – We provide durable and reliable Colorado paving application services to our customers. We have the perfect asphalt mixture to treat any sized surface. McNally offers durable paving solutions and reliable service throughout the paving process. Flexibility – McNally Asphalt is great about working around YOUR schedule. Your time is precious and we treat it as such. When deciding upon our Colorado asphalt services, we ensure that our application time is done in a timely manner while maintaining the quality of the finished product. 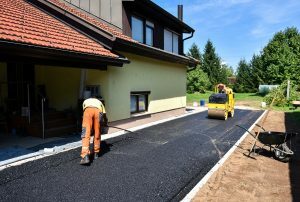 Whether our services are used for a driveway, parking lot or even a pathway, you want to make sure you hire the most qualified asphalt paving contractor Colorado to get the job done right the first time – not to mention on budget and on schedule. McNally Asphalt Colorado is the contractor for all of your asphalt paving needs. Want to know why you should trust our Asphalt Paving Solutions to get the job completed? Here is a short list. Experience and Quality – At McNally Asphalt, we have been in business for years. During that time, we’ve become experts at asphalt jobs, both large and small. Modern Asphalt Paving Equipment – In addition to our years of experience, we use all the latest and greatest asphalt paving equipment available in our industry today. When you hire us, you know you’re going to get the job done correctly – THE FIRST TIME! McNally’s Colorado Paving Methods – Believe it or not, there is a method to masterful asphalt paving. Through years and years of trial and error, we have perfected the art of Colorado Paving. McNally Paving loves what we do, because we do it so well.